This was the most expensive meal of our trip, but it was well worth it. Be sure to book as early in advance as you can to get a good seat close to the stage. The traditional music and hula performances were mesmerizing, varied, and interesting. Be sure to arrive early, too, so that you can participate in the activities and watch them dig the pig up from the underground oven. The entertainment alone was worth the price of the tickets. The service was incredible. Every person that worked there made us feel like they were genuinely happy to host us. The traditional luau fare was buffet style. There was a lot of selection. The pua’a kalua (imu roasted pork) was the main event and the smokey flavor was unlike anything I’ve ever tasted before. I don’t normally like slow cooked pork, but I couldn’t get enough of it at the luau. Other items that I loved were the poke ahi (tuna), luau kalo (taro leaf stew), and uala (purple sweet potato). The desserts weren’t overly impressive, but the Hawaiian coffee was great. All drinks are included in the ticket price, but the mixed drinks were very disappointing, so you might want to have the beer and wine, instead. 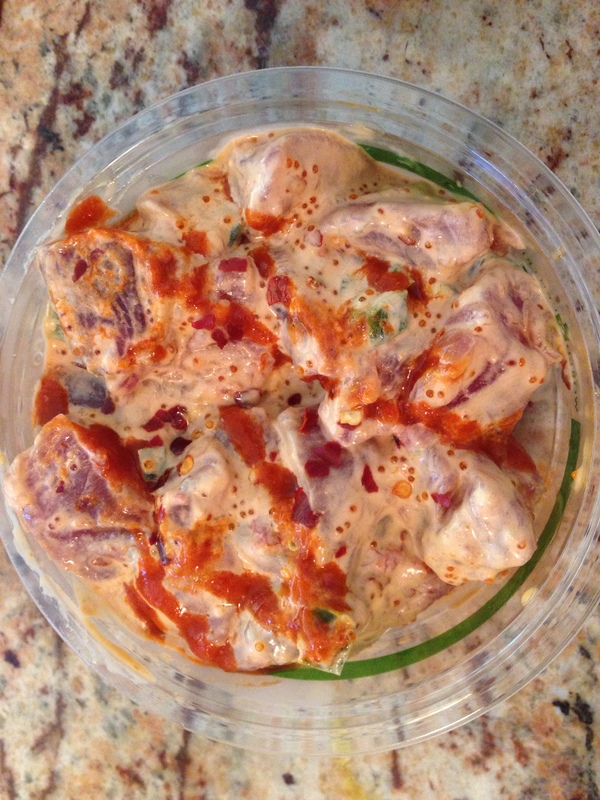 If you aren’t able to go to a luau, don’t worry, because Aloha Mixed Plate is owned by the same owners as Old Lahaina Luau. 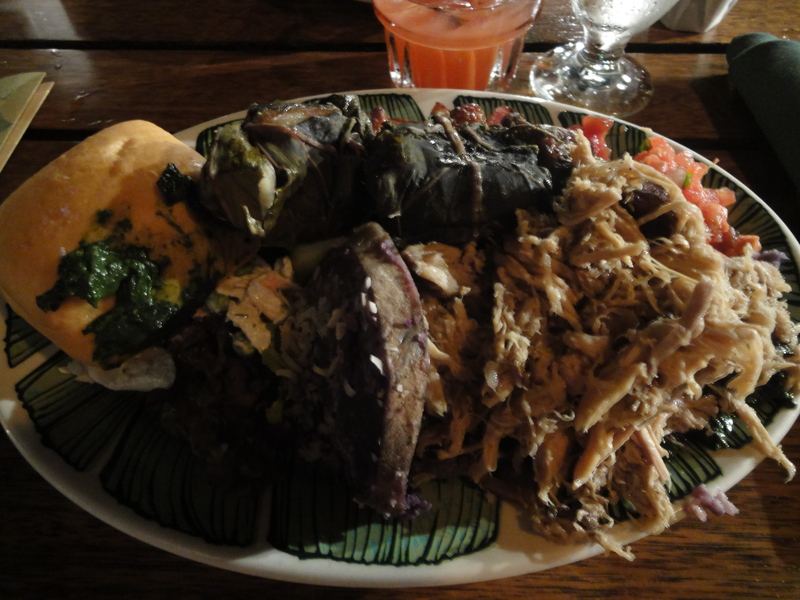 Be sure to try their laulau (taro leaf wrapped pork). It was our favourite dish there. The macaroni salad was addictive, too. Personally, I prefer my rice to be piping hot, so I wanted to note that rice is often served at room temperature in Maui. South Maui Fish Company is one of very few places in Maui that use fresh, local fish. We were disappointed to learn that most restaurants and food trucks use frozen, imported fish on the island! Also, their seasonings were the most well-balanced. 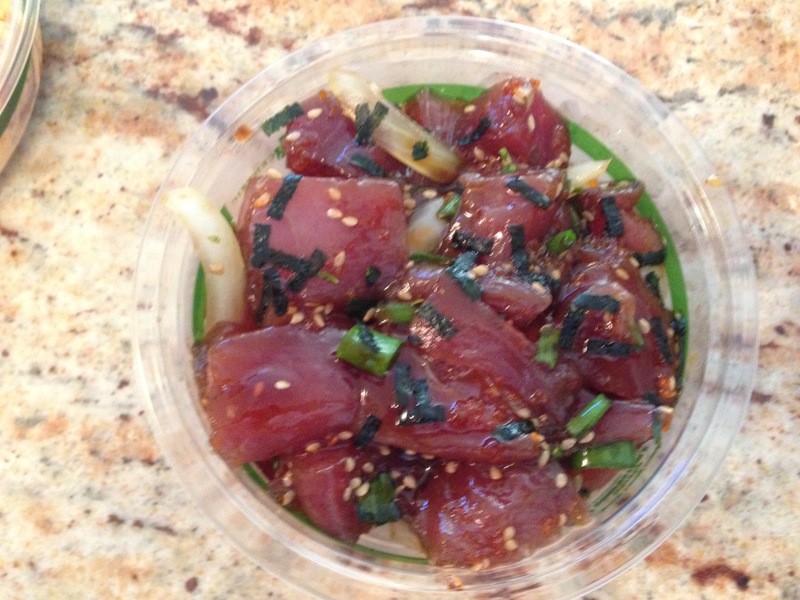 I regret not trying the poke from Foodland in Kihei, because it looked good and I found out after leaving the island that it was actually very well rated! Another great thing about this company is that they support local businesses and farmers and use locally grown fresh fruits. I’ve never liked cream pies, but when I tried Leoda’s banana cream pie, I couldn’t believe that such a perfectly light, creamy, and delicately flavoured dessert could exist. I immediately wanted to buy more and was devastated that I wouldn’t be able to eat it again for a long long time. It was truly heavenly (and I rarely use that word). The crust was a bit hard and thick for me, but that filling was perfection (another word I rarely use). I am desperate to my hands on their recipe! 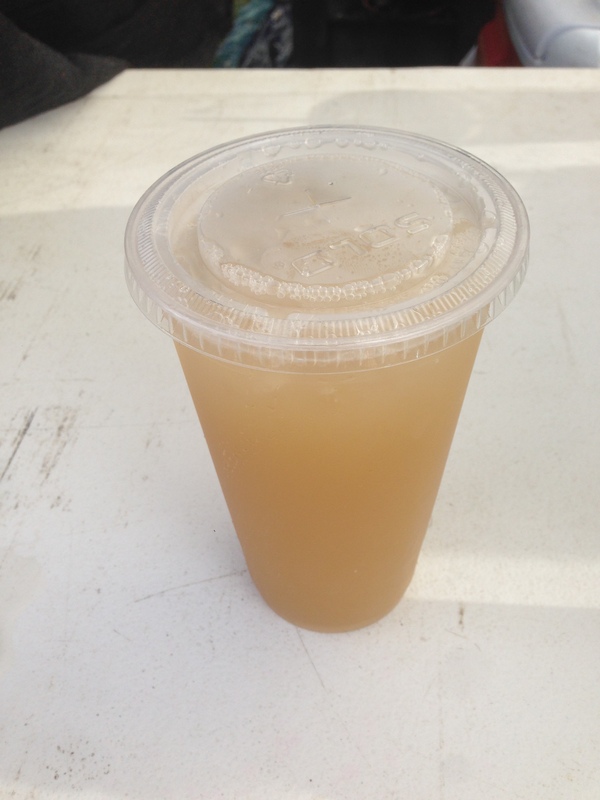 We had fresh, hand-pressed, organic sugar cane juice at the Swap Meet and it was, by far, the best cane juice I’ve ever had. I’ve also had fresh pressed cane juice from North America, Hong Kong, and Malaysia – Nothing came close to Hawaii. I just wish they hadn’t added lime juice to it. I prefer the mildly flavoured, slightly sweet cane juice when served alone. I love Hawaiian coffee, but I have to admit that it took several cups for me to appreciate it. In my opinion, it tends to have a very light, mild, and unique flavour with a clean aftertaste. I usually drink very dark coffee, but once I understood the different flavour notes and characteristics of Hawaiian coffee, I fell in love with it. I tried various coffee beans from Maui Grown Coffee, Maui Coffee Roasters, Costco, and Grandma’s Coffee. The flavour and variety of the beans from Maui Grown Coffee was my favourite. But I’d also like to note that I found very good Hawaiian coffee for unbeatable prices from Costco, too! I will eventually get around to posting the different types of Hawaiian coffee that I tried in a separate post, so stay tuned! We found the best price at Costco. The fresh, local grown fruit was the best thing about Hawaii. The strawberries were out of this world and the pineapples (Maui Gold brand is the best and you can find them at Costco for the lowest price) truly stand out. Hawaii also has delicious varieties of papaya. Even their lemons, limes, and passion fruit are more sweet than sour. I’ve heard that Hawaii grown mangos are incredible too, but they weren’t in season when we were there. Our favourite fruit stands were Yee’s Orchard and Fruit Stand and Kula Country Farms. Kula Country Farms had phenomenal strawberries and a greater selection of fruit, but the lady from Yee’s Fruit Stand was incredibly helpful, patient, and honest with her recommendations. If mangos are in season during your trip, go to Yee’s for them! 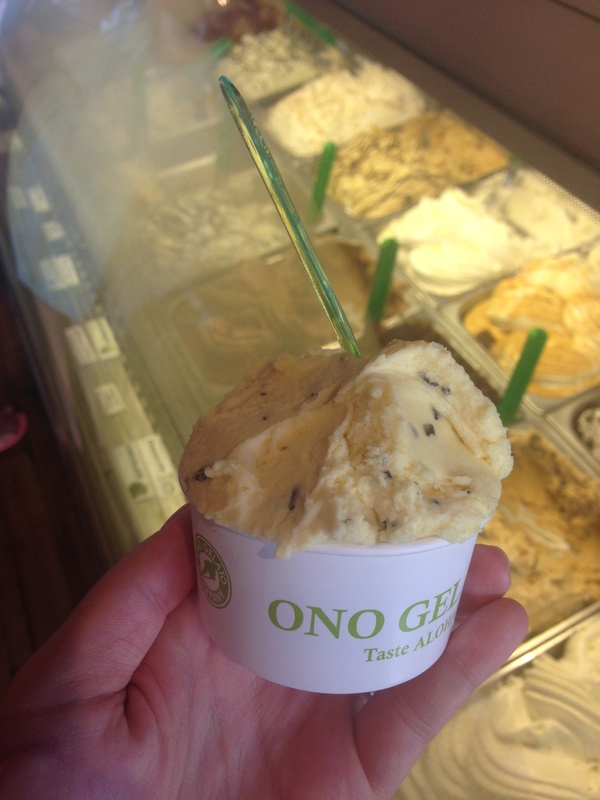 We went to two locations of Ono Gelato in Maui – Kihei and Lahaina. Both were great, but I much preferred the Kihei location. 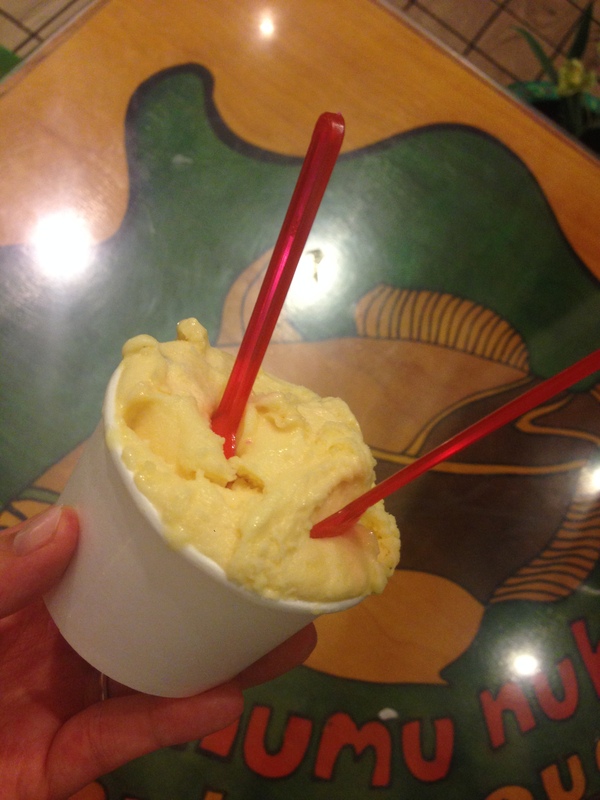 We tried several of the gelato flavours and they weren’t anything special, but their sorbetto was the best I’ve had. The lilikoi (passion fruit) sorbetto was my favourite, followed by the kula strawberry sorbetto and the pineapple sorbetto. 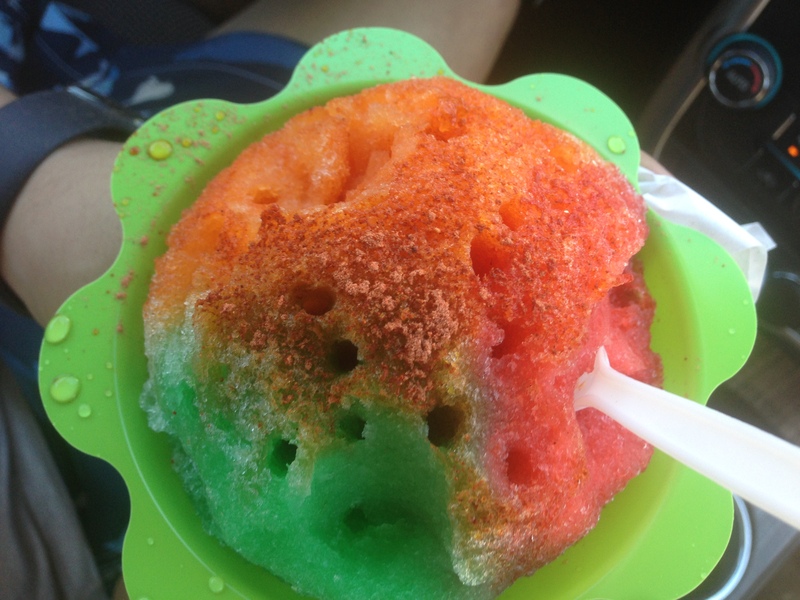 I don’t typically like shaved ice, but I’ve never had a shaved ice that didn’t feel like shaved ice in my mouth. the ice is shaved so finely, that it just melts instantly in your mouth and leaves behind a mouthful of delicious fruity liquid. Their flavours aren’t always made from real fruit, so be sure to ask before you order. 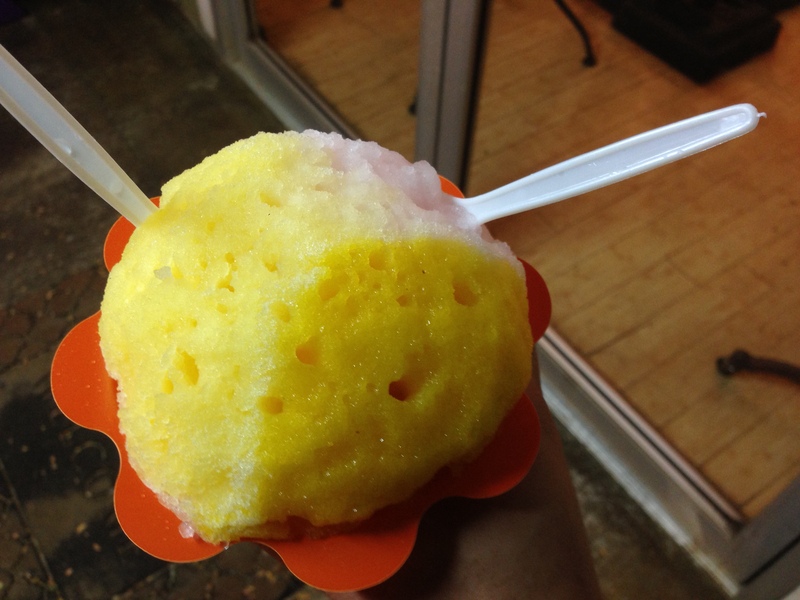 My favourite flavours were lilikoi (passion fruit). Maui grown sweet onions are the absolute best onions in the world. Never could I have imagined a raw onion tasting so sweet and fresh without any of the unpleasant bite or heat. I typically can’t stand raw onions, even the mild “sweet” onions or red onions, but I couldn’t get enough of the raw onions in Maui. If only we could get or grow them in Canada! I would eat them like an apple! You will find bottled onion dressing throughout the island and, although it is quite good, it’s nothing compared to a fresh sweet onion simply diced and served on top of, anything, really. Hawaiian sea salts are often used in Hawaiian cooking. My favourites are black lava salt and alaea red salt. Black lava salt is smoked with activated charcoal and alaea red salt gets its colour from volcanic clay. Both are full of minerals, smooth flavour, and less sodium than table salt. I first tried Hawaiian black lava salt in Toronto at Jacob’s Steakhouse (see review here). It was unbelievably good – smokey (the closest thing to charcoal grilling your food), well rounded in flavour, and the perfect salty accompaniment for steak. That night, I made a plan to go to Hawaii to bring some salt home. I finally did! Keep your eyes open for a review of different Hawaiian brands of black lava salt.